War! All supply routes are controlled by the militia. Your job security of supply and the control of all water and air to regain ways. - Three types of aircraft freely selectable. To find more information in the Game Help. - Exchange your points into dollars. Innovative currency exchange system which does not require real money. - Weapons upgrades in the shop, no real money required! 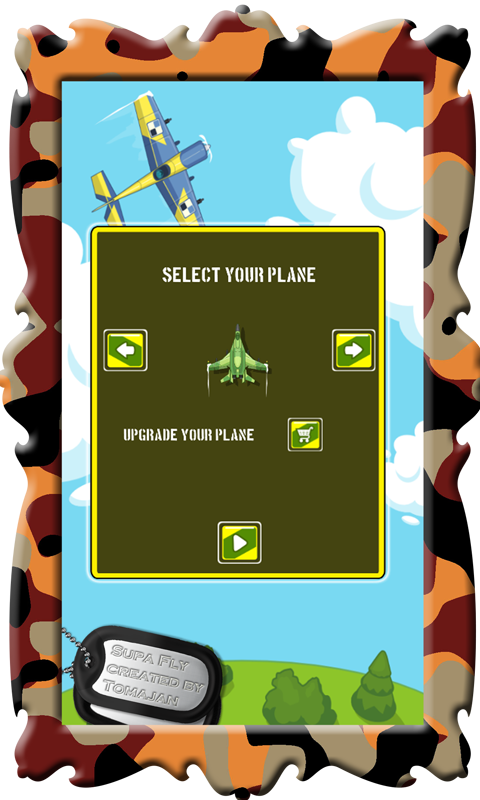 -25+ Levels - Controller as in a console as Touch Version Supa Fly is an arcade shooter in cartoon style available, you have a single-engine propeller plane (Cessna), a jet plane (F-16) or a stealth fighter (F-117). Be careful with your choice of both armor and fuel consumption vary widely among different types of aircraft. It is possible to improve the weapon system to be found in the shop. The game does not require real money !! Good Luck!